This adapter is designed to mount a M50/S50B30 US mechanically operated or M52TU Dive-By-Wire Throttle Body to a M54B30 Intake Manifold. 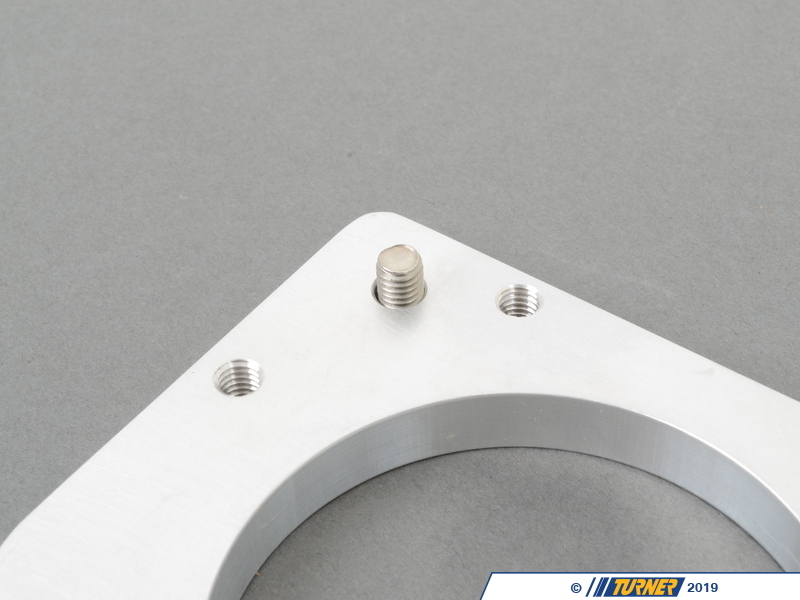 There are several configurations where you could use this adapter but this was originally developed for our racecars that used stand alone ECUs (MoTeC or Bosch Motorsport). 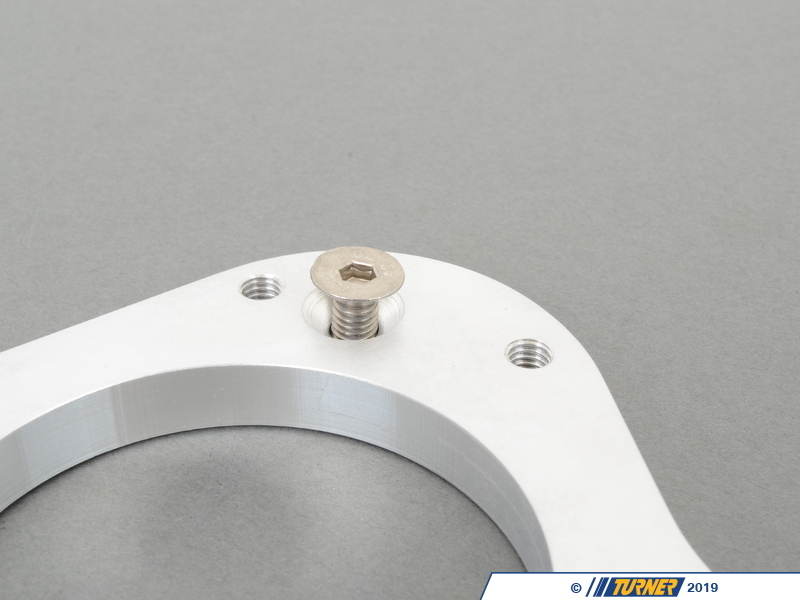 Adapter Plate to Mount M50/S50B30 US Throttle Body to M54B30 Intake ManifoldIt allows you to use a mechanically operated throttle body instead of the drive by wire throttle body. The advantage of this is that you can easily use aftermarket engine management systems without extra wiring and programming. 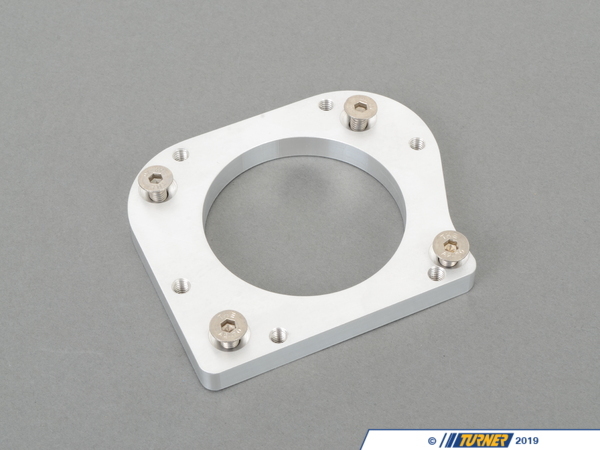 Adapter Plate to Mount M52TU Dive-By-Wire Throttle Body to M54B30 Intake ManifoldIt allows you to use a M54B30 intake manifold with your M52TU engine, throttle body, and stock ECU. The advantage is increased air flow from the M54B30 intake manifold over the M52TU intake manifold. Note: the M52TU throttle body will need to be modified to work in the application. In all cases, the original idle control valve was deleted and the port in the intake manifold was plugged. If your new ECU system still relies on the idle control valve this adapter may not work as intended. The plate mounts flush to the manifold with 4 flat head M6 Allen bolts (included). The throttle body mounts to the adapter with 4 M6 hex head bolts (not included, original mounting bolts can be re-used). Adapter Plate to Mount M50/S50B30 US Throttle Body to M54B30 Intake Manifold It allows you to use a mechanically operated throttle body instead of the drive by wire throttle body. The advantage of this is that you can easily use aftermarket engine management systems without extra wiring and programming. 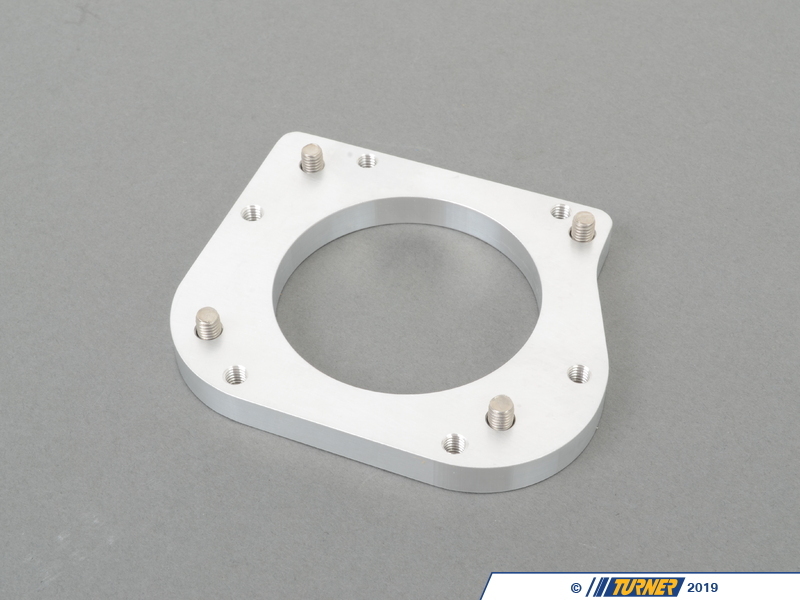 Adapter Plate to Mount M52TU Dive-By-Wire Throttle Body to M54B30 Intake Manifold It allows you to use a M54B30 intake manifold with your M52TU engine, throttle body, and stock ECU. The advantage is increased air flow from the M54B30 intake manifold over the M52TU intake manifold. Note: the M52TU throttle body will need to be modified to work in the application.